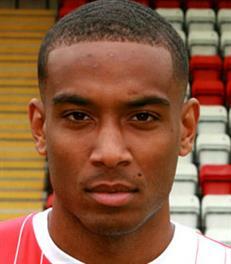 Tyrell Waite signed for the Harriers following a productive trial period when he scored four goals. The tall forward started his career with his local side Ilkeston but was snapped up by Notts County within a year. He rarely played for the Magpies and was loaned out on numerous occasions until he finally left the club in January 2016 to join Nuneaton Town. One of his loan spells was in Sweden with Skellefteå FF. Tyrell signed a one year contract with us but a year later had left to join Boston Utd.